South Carolina, Wisconsin, Maine, Michigan. New Map Of South Carolina. 1 : 1400000 Tanner, Henry S.
1 : 1267200 Goodrich, S.G.
1 : 1267200 Bradford, Thomas G.
1 : 2851200 Henshaw, Frances A. 1 : 1647360 Lucas, Fielding Jr.
1 : 1203840 Lea, I. 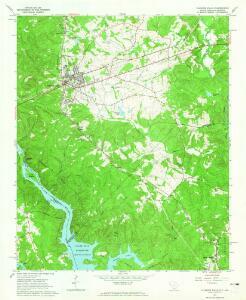 1 : 1013760 Winterbotham, W.
A Map of the Province of South Carolina.